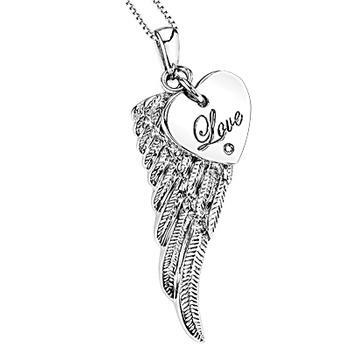 This sterling silver wing has a love heart charm pendant with a diamond accent . An 18" box chain is included. The charm measures approximately 1 1/4"L by 1/2"W.